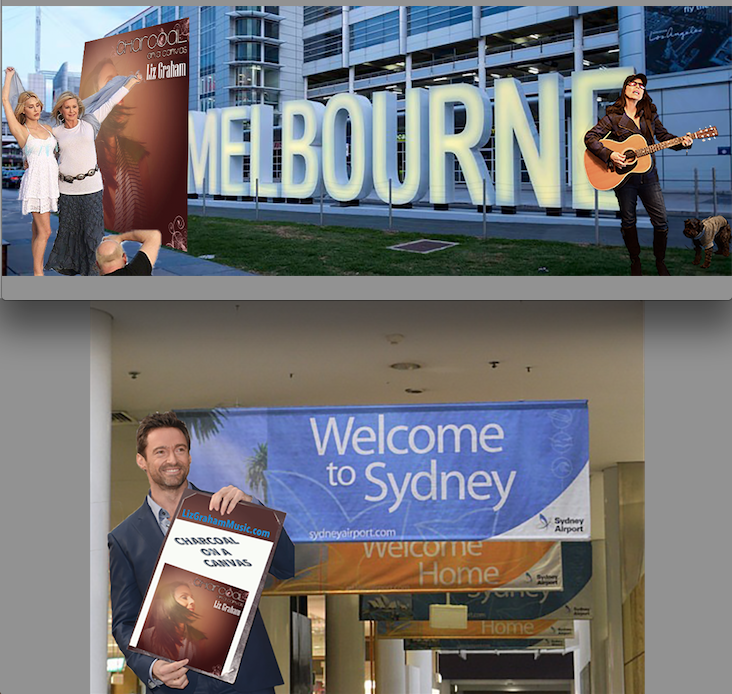 Liz Graham's #AirportConcertTour Day-6 in Australia with OLIVIA NEWTON JOHN & HUGH JACKMAN! Can you spot the mishap? 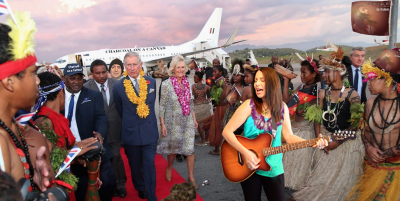 Liz Graham's #AirportConcertTour Day-5 in New Guinea with PRINCE CHARLES & CAMILLA! 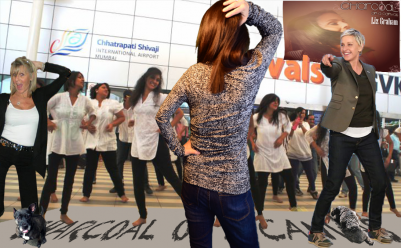 Liz Graham's #AirportConcertTour Day-11 in India with ELLEN! 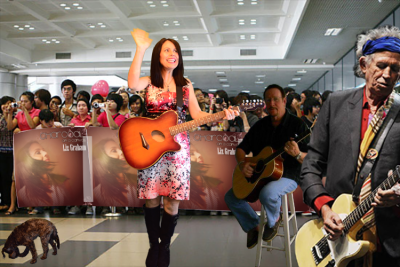 Liz Graham's #AirportConcertTour Day-10 in Vietnam with KEITH RICHARDS! 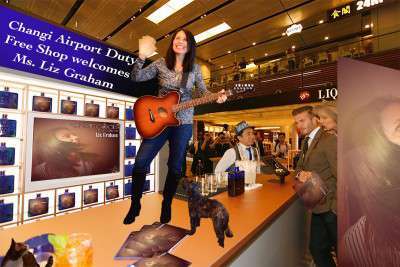 Liz Graham's #AirportConcertTour Day-9 in Singapore with DAVID BECKHAM! Liz Graham's #AirportConcertTour Day-4 in Japan with BENEDICT CUMBERBATCH!